The newest live action manga adaptation announcement took fans by surprise! 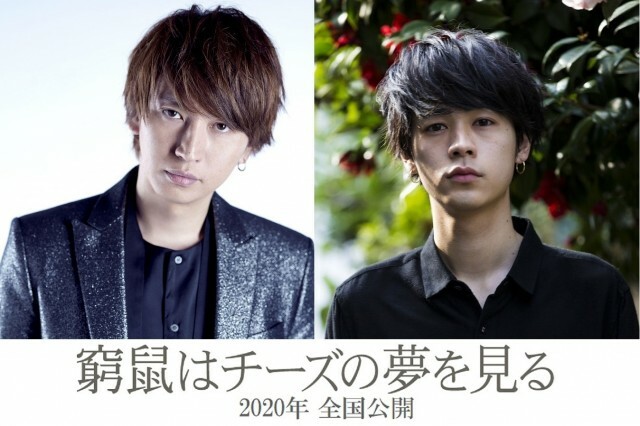 Kanjani8’s Ohkura Tadayoshi and Narita Ryo will be headlining “Kyuso wa Cheese no Yume wo Miru!” (The Cornered Mouse Dreams of Cheese) movie. Depicting sexuality issues and passionate love between men, the movie will be directed by Yukisada Isao (Narratage, River’s Edge). The movie is slated for a 2020 release. Ohkura will be playing the character Otomo Kyoichi who works for an advertising agency. His indecisive personality causes him to commit adultery repeatedly. A private detective was hired by his wife to investigate his affairs, which turned out to be his junior (Imagase Wataru) from the university who he hasn’t met since graduation. Imagase offers to hide his infidelity in exchange for his body.